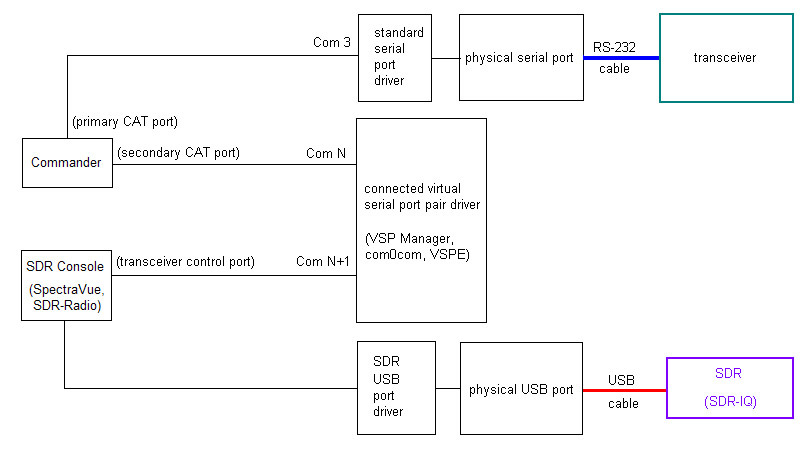 In the above configuration, the SDR Console controls the transceiver's frequency and mode as well as the SDR's frequency and mode, serving as a panadaptor. 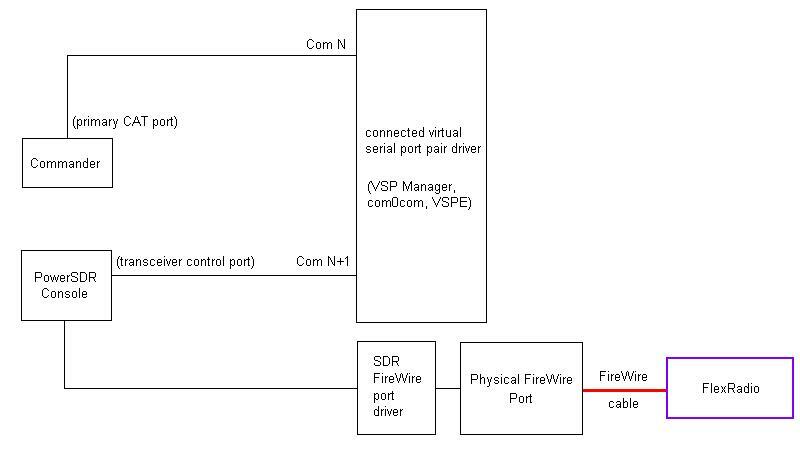 Because the transceiver's CAT port is exclusively used by the SDR Console, this configuration precludes traditional transceiver control -- and its interoperation with logging, spotting, digital mode, and propagation prediction/monitoring applications. 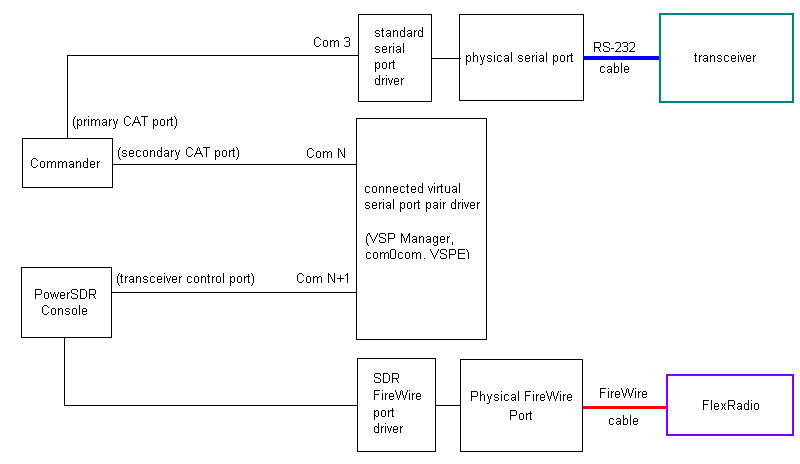 if the SDR Console is PowerSDR, enable the Allow Kenwood AI Command option on the PowerSDR Setup window's CAT Control tab. 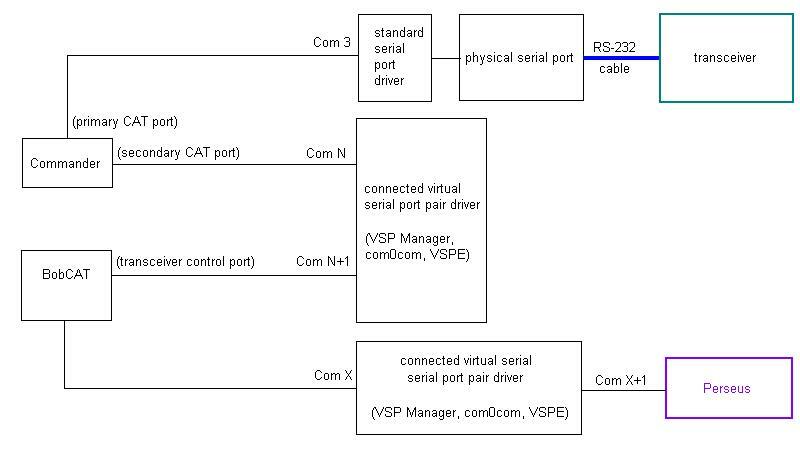 if you have set the Secondary CAT Serial Port panel's Protocol to Kenwood, set the Secondary CAT Serial Port panel's Interrogation selector to 200 ms.